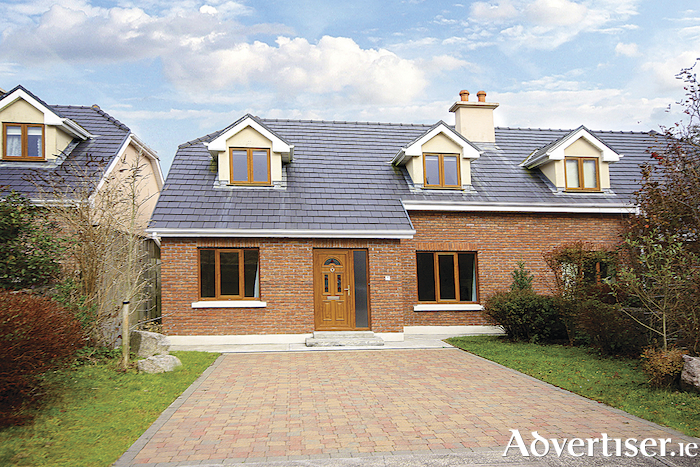 This large four bedroom semi is situated in the Cul Aitinn development, which is a favourite with buyers as there are only 28 homes in the estate and it is in an established residential part of Knocknacarra on the Clybaun Road. No 11 is perfectly located just one from the end of a cul de sac and is not overlooked. Extending to c145sq m, it presents with two receptions (or a playroom option ), four bedrooms, kitchen, utility, guest wc, two en suites, and family bathroom. Its heating system is gas and there is designated parking to the front. No 11 has the advantage of central hoovering, zoned heating, and timber floors. For more information contact Keane Mahony Smith auctioneers at 091 563744.